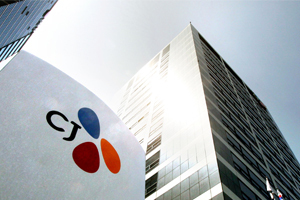 CJ CheilJedang Corp., the food manufacturing unit of Korea’s CJ Group, will complete scaling up its first integrated food plant in Vietnam this month to be ready for full-fledged commercial production by the end of June. According to industry sources on Friday, CJ CheilJedang was finishing up the construction of additional food plant in Hiep Phuoc Industrial Park in Ho Chi Minh, Vietnam this month. The official operational start of the new plant will come within the first half of this year. A CJ CheilJedang official said that the company is hoping to be ready for full production by the end of June. CJ CheilJedang in July 2017 broke ground for its first integrated food production in Vietnam. It has invested 70 billion won ($61 million) for the plant that is capable of churning out up to 60,000 tons of food products year. The main products will include Bibigo brand dumplings, kimchi, and home meal replacements on top of frozen food products. The Korean food maker vowing to generate 700 billion won in food business sales from Vietnam by 2020 has been moving aggressively to expand its business in Vietnam. In 2016, the company acquired Vietnamese kimchi distributor Kim&Kim and frozen food service company Cau Tre, then fish and meat processor Minh Dat Food in the following year.